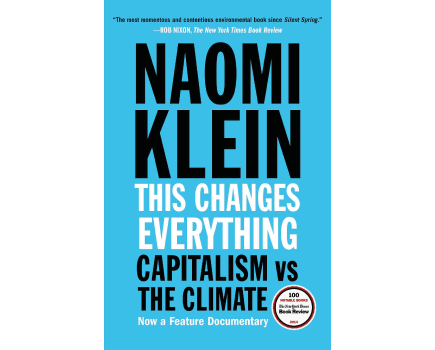 Unfortunately, Naomi Klein’s This Changes Everything: Capitalism vs The Climate changes nothing. Klein, who is revered on the far left and ridiculed on the far right, manages to further entrench these perceptions of her with this provocative—if ill-perceived—diatribe on how neo-liberalism and its “free markets” have and will continue to fail us. 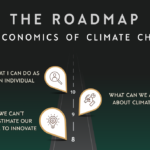 Capitalism, she asserts, especially the corrosive and corrupt “democratic” capitalism of the United States, doesn’t have the adaptive, self-correcting forces to tackle nuanced global issues like climate change. Whether Klein is right is beside the point. Climate change is a phenomenon we must deal with now, and Capitalism is the arena in which it must be dealt with. Although Klein has written something for those who already agree with her, what she argues is completely compelling and acutely valid. Like her previous best sellers, including The Shock Doctrine, the book is impeccably detailed. It’s not so much separating facts from fiction that the reader must grapple with here, it’s more separating the facts from the ideology that will come—in time—to define Klein’s book. 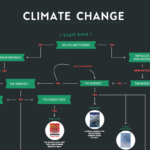 She starts by shining her torch on the climate-change denial movement: a well-documented but poorly understood phenomenon where doubt-mongering has been taken to new extremes by “scientific” institutions like the Heartland and Cato Institutes. 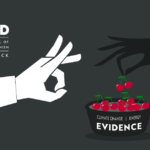 Her chapter “The Right is Right” is a condensed (and updated) version of her namesake Naomi Oreskes’ masterpiece on the subject: Merchants of Doubt: How a Handful of Scientists Obscured the Truth on Issues from Tobacco Smoke to Global Warming. A three-pronged attack on free trade, fossil-fuel subsidies and market externalities is a prelude to Klein’s collection of community-based examples of what a post-capitalist economy might look like. With a few trumps up her sleeve, including “the German experience”, Klein clings to what has worked for some, in a hope it could work for others. At first, her enthusiasm and idealism is infectious, and much of what she covers is as convincing as it is accurate. Eventually though, I all too often found myself having to mentally traverse through her anti-corporate rhetoric: the “bulldozers of corporate globalization”, the “hyper-globalized capitalism” and the “buzzing chainsaws”. Putting the emotive slogans aside though, Klein makes nuanced point after nuanced point. It’s just a shame her emotions seem to get the better of her consistently. The second half of This Changes Everything is full of anecdotal and evidential resistance against the steady march of the much-maligned corporate interests that dominate most pages. From the Miqmaq fishermen of Nova Scotia to the Northern Cheyenne of Montana all the way to the Ogoni and Ijaw of Nigeria, Klein coins a movement she labels BLOCKADIA, the start of a movement she wills will gather populist support in the coming years. It’s not just indigenous peoples contributing to BLOCKADIA either, it’s communities of “people everywhere”. Like those of Greenburg, Kansas, which despite having an overwhelmingly republican voting base, somehow became a model of green growth in the wake of a super tornado that tore it to shreds. From the disparate stirrings of communities across the world, Klein senses the scent of change. One senses this scent may not be as strong as Klein would have us believe, but there is certainly truth at its core. 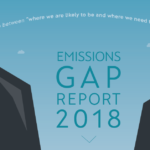 The world is waking up to moneyed interests getting in the way of progress on climate change, and things are changing, albeit too imperceptibly. For Klein, though, changing attitudes are not only perceptible: they’re growing out of a renewed consciousness for a more equitable world. Optimism too often clouds reality, but as E.B White once so memorably asserted: “writers do not merely reflect and interpret life, they inform and shape it… the role of a writer is to lift people up, not lower them down.” This is what Klein is doing. PreviousWhat’s Wrong With The Digital Detox?